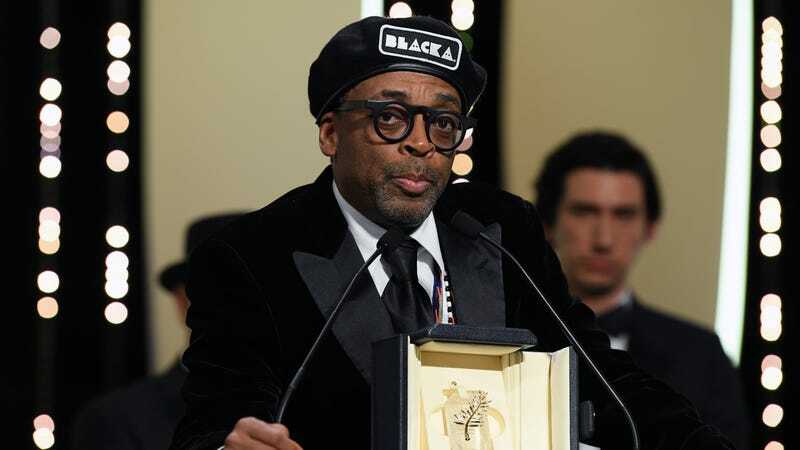 The 71st Cannes International Film Festival wrapped up earlier this afternoon, with a closing ceremony that saw Spike Lee take home the festival’s Grand Prix (a.k.a. “second place”), while Japanese family drama Shoplifters snagged the coveted Palme d’Or. All of us, men and women alike on the jury, we’d love to see more female directorial voices represented. And I feel that there’s a very strong drive within the organization of the Cannes film festival to make sure that they explore, with their ‘curious’ hat on, female perspectives. There perhaps weren’t quite as many female-driven narratives as I’d have liked. But there were certainly some powerhouse performances—we awarded one, and there were several more we could have chosen from. Capernaum ended up winning the festival’s Jury Prize, while Rohrwacher tied for Best Screenplay with 3 Faces’ Nader Saeivar. French film icon Jean-Luc Godard won a Special Palme d’Or for his borderline-incomprehensible Image Book, meanwhile, while Marcello Fonte won Best Actor for Dogman, My Little One’s Samal Yeslyamova took home Best Actress, and Pawel Pawlikowski scored best director for Cold War. You can see the full list of winners here, and our full coverage of Cannes 2018 is available at this link.